The LLC loophole has come to epitomize budget-busting tax policy in Kansas. It appears that a majority in the new Kansas Legislature know the loophole must be repealed, and fully intend to end it. But if viewing the situation with clear-eyed honesty, those legislators also know that loophole repeal corrects only a fraction of the problem. 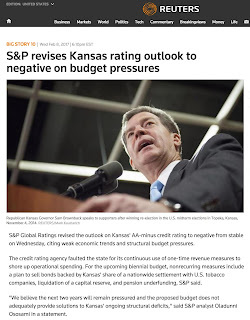 To fix Kansas financially, lawmakers must produce a more comprehensive solution. The loophole, put in place in 2012 as part of the Brownback tax experiment, set up a highly unfair tax situation. Individual Kansans who receive income through a limited liability corporation (LLC), self-employment, a farm, or rental property pay no Kansas income tax. But people who receive a pay check, do owe tax. An owner pays no tax on personal income taken from a business, yet employees of the business pay taxes. Exempting such a large swath of income from tax has obviously lowered receipts and contributed to financial woes in Kansas, but with little economic payoff. 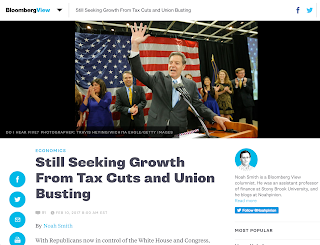 The promise of explosive job growth failed to pan out, maybe because creating a job was never required as a condition of receiving the tax cut. Since the loophole opened, Kansas job creation has been anemic, running far behind our region and the U.S. as a whole. The loophole has to go. No other state does tax policy this way. While most Kansans have figured this out, they may not realize that just killing the loophole still leaves Kansas in deep financial trouble. Thanks to the 2012 tax changes, Kansas does not have nearly enough income to pay bills. The loophole caused about one-third of the revenue loss. Income tax rate reductions, which especially benefit the wealthiest Kansans, caused the rest. The current dire Kansas financial situation will not cure itself; nor will one-time tricks and maneuvers work. Lawmakers need a comprehensive solution that raises enough recurring revenue to meet expenses. “Comprehensive” does not necessarily mean a complete return to pre-2012 tax law, but lawmakers at least need to consider moving the upper income tax rate back where it once was, in addition to closing the loophole. If money continues to be siphoned from the highway fund, a higher gas tax could allow a reasonable level of road maintenance. The governor’s proposals are of little help: borrow, sell assets, renege on retirement funding, and grab even more from highways. Legislators have to produce the real solution on their own. Strategically, legislators may even need to vote against a stand-alone loophole repeal in order to force a vote on a broader revenue package. A piecemeal approach in which lawmakers cast individual votes on each potential revenue change will likely doom a comprehensive solution. Irresponsible decisions made five years ago have left a huge mess in Kansas today. Our situation was a lot easier to get into than to unwind. Clean-up requires realistic assessment, courageous votes, and comprehensive tax reform. Anything less leaves Kansas in the same downward spiral. —This entry was originally published last week in a variety of Kansas newspapers.